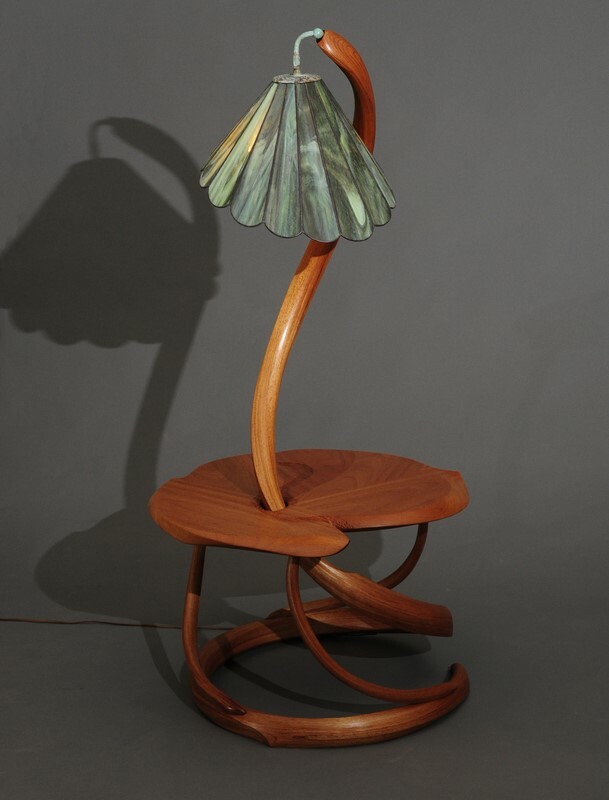 An End Table and floor lamp in one. Utilizing woods almost always passed over. 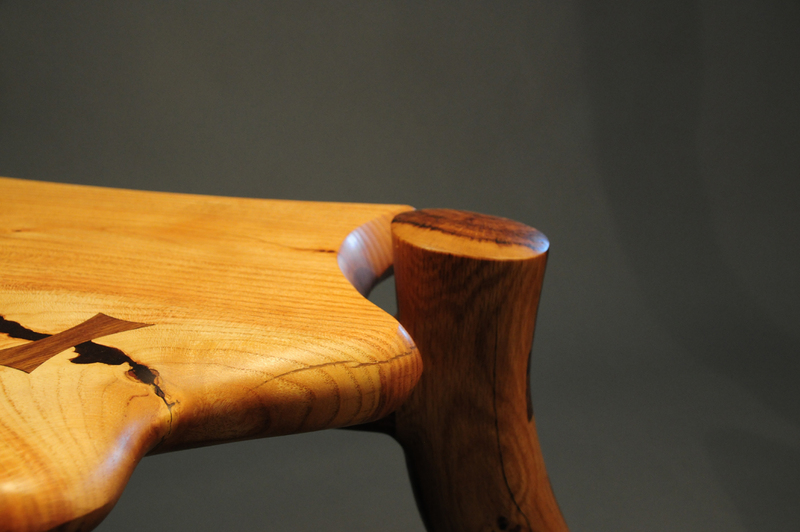 A honey locust crotch slab comprises the table top. 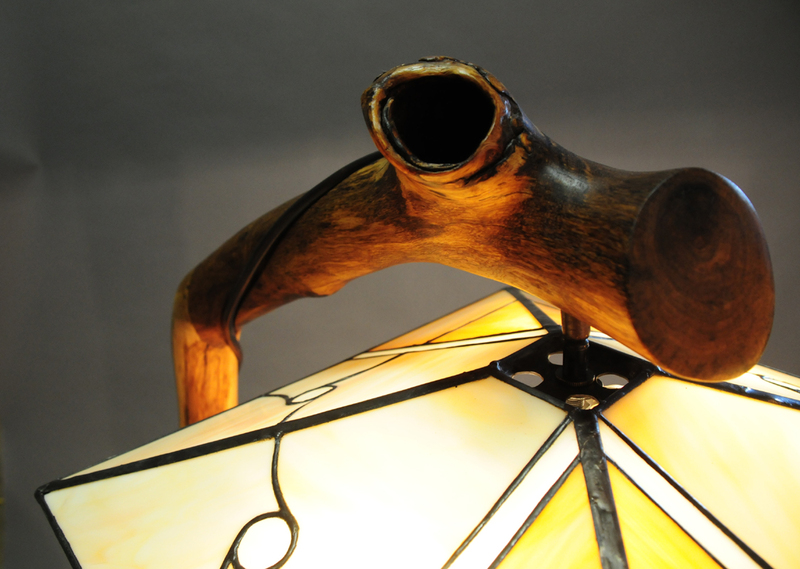 A few bow ties and a neutral colored epoxy decoratively reconstruct the separated crotch. 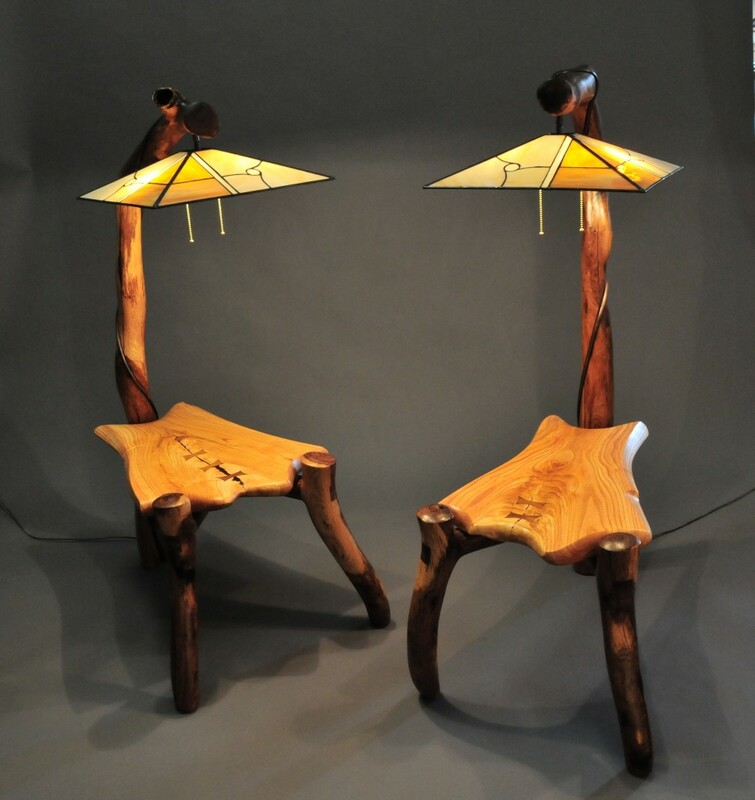 The top is supported by spalted scrub oak legs and an overreaching back leg and arm. 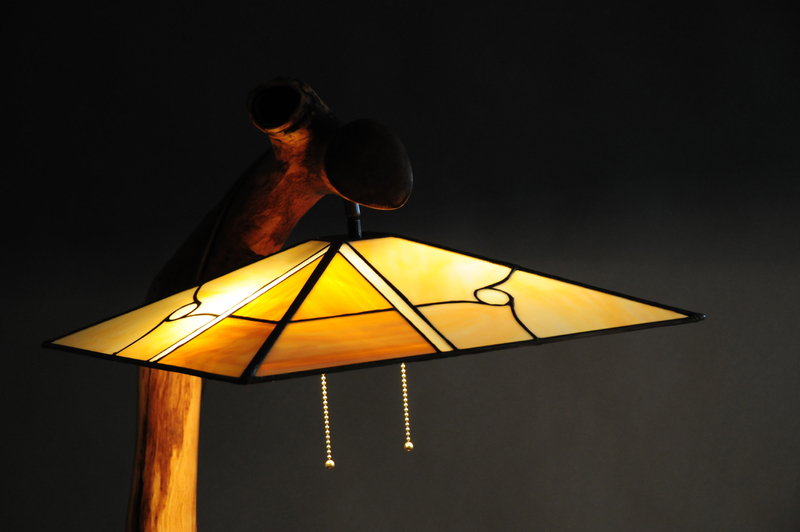 A stained glass shade over a two bulb light fixture is the finishing touch to a great blend of man and nature’s work and design.